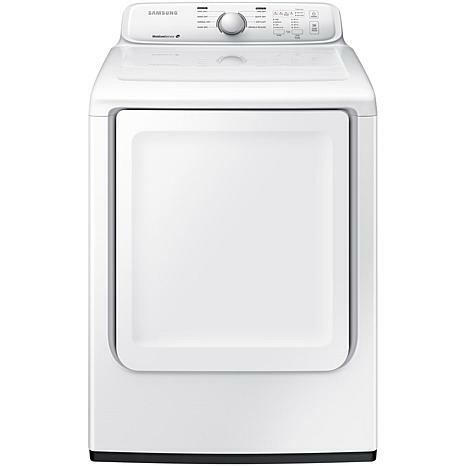 The Samsung DV40J3000GW 7.2 Cu. 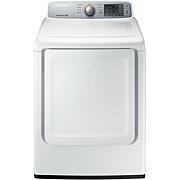 Ft. 3000 Series Gas Dryer will help make the chore of laundry quick and efficient. It features eight drying cycles to choose from: Very Dry, More Dry, Normal Dry, Damp Dry, Time Dry, Air Fluff, Quick Dry, Wrinkle Release. 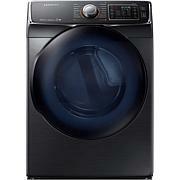 Also, the moisture sensor automatically adjusts drying time by sensing moisture so your clothes dont over or under dry. The reversible door gives you the option of installing the door to open left or right and the end of cycle signal lets you know when your load is done. With convenient features like the filter check indicator, end of cycle signal, and child lock - doing the laundry seems like less of a chore. 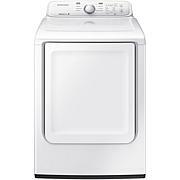 With this 3000 series dryer you get the quality and design you would expect from Samsung. 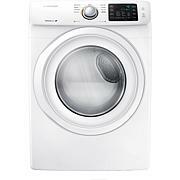 It is exceptionally quiet, large capacity, love the sensor b cause it adjust to your clothes, once sensor knows your cloths are dry dryer cuts off. You can also used time dryer.